HumiSeal® TS 300 is a non-flammable, high temperature, temporary mask designed for use on printed circuit boards that require masking during the conformal coating process. HumiSeal® TS 300 effectively covers and protects parts and connections where coating is not desired, and can then be peeled away easily. 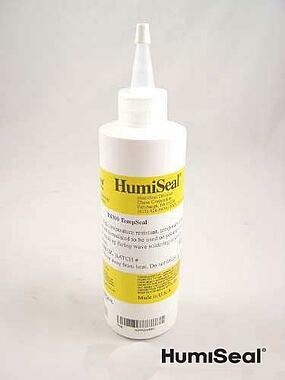 HumiSeal® TS 300 contains no ammonia and will not inhibit thermal cure of silicone conformal coatings. HumiSeal® TS 300 can withstand limited exposure to temperatures as high as 260°C. For more information fill out the form to download our brochure.